During the holidays, we all get involved in some form of charity or community. Whether it’s a food drive or toy drive, we want to make sure everyone in the community thrives. It gives us that warm, fuzzy feeling and we think – gosh we should really do this all year round. And then school starts again, sports start again, the schedule is crazy and we just can’t squeeze in yet another activity in our schedule – or the budget. And when it comes to giving back – where do we even start? Enter 100+ People Who Care Surrey. This group was created to help pool together individual charitable donations in order to make a real difference to one local charity. When everyone gives a little, you make a really big difference! Members gather every few months, hear presenters from 3 local charities give a short speech and answer any questions, and select one by secret vote. A whole bunch of people donating a little bit each adds up to a meaningful impact for one local charity doing good work in the community. Connections are also made to the community for volunteer opportunities or other ways of supporting these groups. The meeting is over in less than an hour! 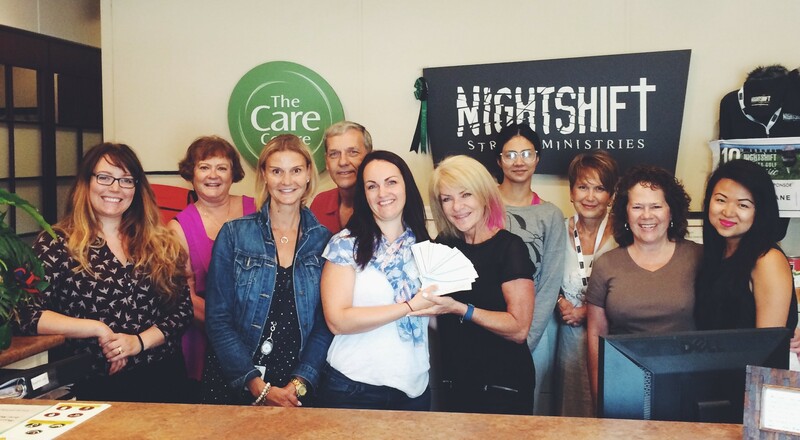 In 2018, the group raised over $10,000 for groups directly serving the areas of Surrey, White Rock, Delta and Langley. All money goes directly to the charities and tax receipts are issued so there’s no question that your funds are going directly to people in need. The group is open to everyone who can commit to donating and wants to be more connected to our community. The next meeting will be on March 7 in South Surrey, register today as space is limited!